We would like to present the best ones in e-trade - that is edrone eCommerce wizards. They are companies which provide services for eCommerce industry. The partners are strictly selected. Firstly, a partner has to actively operate at least one online shop currently using the edrone system. Then, our customer success department contacts a customer to confirm the quality of provided service. Moreover, we also contact the customers of a partner in order to gather opinions about provided services. At least four out of five companies have to assess the quality of provided services as very good. Among partner companies there are eCommerce applications’ developers, advertising agencies, performance advertising companies, but also content agencies, SEO SEM, and even translation agencies. What all of these companies have in common is their verified references and specialization in the eCommerce industry. Companies which additionally have the ‘edrone certified partner’ sign are recommended by us as specialists in adapting and handling of the edrone platform. We are a 30-person Performance Marketing Agency from Cracow, specializing in increasing sales. As a few in Poland we have all 5 Google specializations: Search, Mobile, Video, GDN, PLA. We specialize in the design and implementation of e-commerce strategies for manufacturers taking responsibility for increasing sales or expansion into foreign markets. 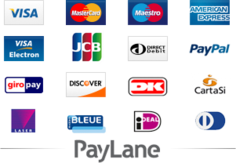 Tpay.com – technological leader on polish payments market belongs to Krajowy Integrator Płatności S.A. Our system provides instant money transfers to over 29.000 Merchants and offers wide spectrum of payment methods. Fast White Cat, founded in 2012, is a Polish eCommerce company with software being one of our pillars. When creating software we focus solely on the end effect and goal - sales. Our eshops sell extremely well and we pride ourselves on that fact. SMSAPI is the largest Polish and foreign notification and bulk SMS messaging platform. The service has many additional functions that helps to collect own database and act according to permission marketing rules. As a result messages sent via SMSAPI have the highest convertion rate. The brand was founded in 2002 together with the opening of the first stationary shop. Fifteen years of experience guaranteed a leadership position in the computer industry. The Polish online shop, part of the capital group x-kom. The product range includes functional household appliances and accessories. Delante Online Marketing operates from November 2014 and from the very beginning constantly widens its offer, grows its team, trains employees and increases the number of customers. e-direct Interactive Agency is a Team of creative, experienced designers, engineers and specialists of Online-Marketing and E-Commerce. We handle comprehensive services for companies and brands in the Internet. We create Internet pages, complex Portals and innovative dedicated Apps. We implement profitable e-commerce solutions. We manage successful Internet marketing supporting our Customers' businesses. GOshop is a modern platform of the online shop. Our application includes a professional sales system that offers a wide range of possibilities while being easy to use. ATOMSTORE is a high-quality e-commerce platform. We create dedicated online shops and B2B systems. We offer comprehensive implementations from A to Z, mobile shops in responsive web design technology, integration with Comarch Optima, XL, WF-Mag, Subiekt programs. For more than 11 years we’ve been helped our clients to make the highests profits from online sales. We operate in the area of ​​search engine marketing (SEM), providing services in the field of SEO, PPC and web analytics. We provide support, marketing and consulting for e-commerce. We specialize in IAI-Shop. Our passion is work and our work is passion! This is a brief summary of Majak-IT's activity, which since 2010 has been constantly broadening its horizons and discovering new opportunities for its clients. As a result, each customer is treated individually and all orders are executed reliably and on time. Loopa.eu is an eSales optimization agency. MCommerce mobile app for clothing retailers - mobile shopping gallery in your customer's pocket. We're official PrestaShop partner. We've accomplished over 80 eCommerce projects for customers from 9 countries on 3 continents. We provide comprehensive eCommerce service for online shops: B2C and B2B platforms implementation, UX design, audits, CRO, hosting and PrestaShop support. WAYNET - we accelerate eCommerce. AptusShop is a professional and scalable online shop software and is suitable for e-commerce market leaders as well as smaller shops. Our biggest asset is the creation of individual projects. The basic version of AptusShop is a fully functional solution that can be extended with a number of add-on modules. We also offer the opportunity to thoroughly redesign the system to provide customized functionality tailored to the needs of the customer. We help online store owners increase their profits by raising three key indicators that are neglected by 90% of stores: the conversion rate factor, the average order value and the frequency of purchases (loyalty). Jesteśmy operatorem telekomunikacyjnym, dostarczającym firmom innowacyjne usługi, oparte o technologię VoIP. Naszym głównym brandem jest TeleCube.pl, a kluczową usługą wirtualna centrala telefoniczna. Z nami osiągniesz najwyższy poziom komunikacji telefonicznej. Sante is on the market from 2000. They are working on projects and implementation of integrated solutions ERP, WMS, POD for detailed trade (B2C) and distribution (B2B).